Liposuction is a procedure that can help sculpt the body by removing unwanted fat from specific areas, including the abdomen, hips, buttocks, thighs, knees, upper arms, chin, cheeks and neck. During the past decade, liposuction, which is also known as “lipoplasty” or “suction lipectomy,” or Lipo, has benefited from several new refinements. Today, a number of new techniques, including ultrasound-assisted lipoplasty (UAL), the tumescent technique, and the super-wet technique, are helping many plastic surgeons in Santa Monica to provide selected patients with more precise results and quicker recovery times. Although no type of liposuction is a substitute for dieting and exercise, liposuction can remove stubborn areas of fat that don’t respond to traditional weight-loss methods. This lipo page will give you a basic understanding of the procedure – when it can help, how it is performed and how you might look and feel after surgery. It won’t answer all of your questions, since much depends on your individual circumstances. To be a good candidate for liposculpture, you must have realistic expectations about what lipo can do for you. It’s important to understand that liposuction can enhance your appearance and self confidence, but it won’t necessarily change your looks to match your ideal or cause other people to treat you differently. Before you decide to have lipo surgery, think carefully about your expectations and discuss them with your local plastic surgeon. The best candidates for liposuction or lipo are normal-weight people with firm, elastic skin who have pockets of excess fat in certain areas. You should be physically healthy, psychologically stable and realistic in your expectations. Your age is not a major consideration; however, older patients may have diminished skin elasticity and may not achieve the same results as a younger patient with tighter skin. 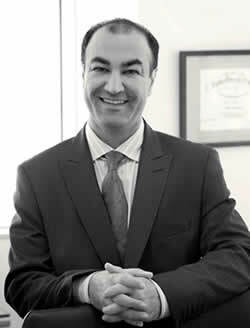 In your initial liposuction consultation, Reza Nabavian MD will evaluate your health, determine where your fat deposits lie and assess the condition of your skin. Dr Nabavian will explain the body-contouring methods that may be most appropriate for you. For example, if you believe you want liposuction in the abdominal area, you may learn that an abdominoplasty or “tummy tuck” may more effectively meet your goals; or that a combination of traditional liposuction and UAL would be the best choice for you. Be frank in discussing your lipo expectations with this plastic surgeon. He or she should be equally frank with you, describing the procedure in detail and explaining its risks and limitations. Individuals considering liposuction often feel a bit overwhelmed by the number of options and techniques being promoted today. However, your plastic surgeon can help. In deciding which is the right treatment approach for you, your doctor will consider effectiveness, safety, cost and appropriateness for your needs. This is called surgical judgment, a skill that is developed through surgical training and experience. Board certified plastic surgeon Dr. Nabavian also uses this judgement to prevent complications; to handle unexpected occurrences during surgery; and to treat complications when they occur. For liposuction in Santa Monica contact Dr Nabavian.